Tanah Lot is a popular tourist attraction located in Beraban, Bali, Indonesia. This is a rock formation that is considered a sacred temple for the Hindu people. Also, it represents a perfect background for numerous famous photos. 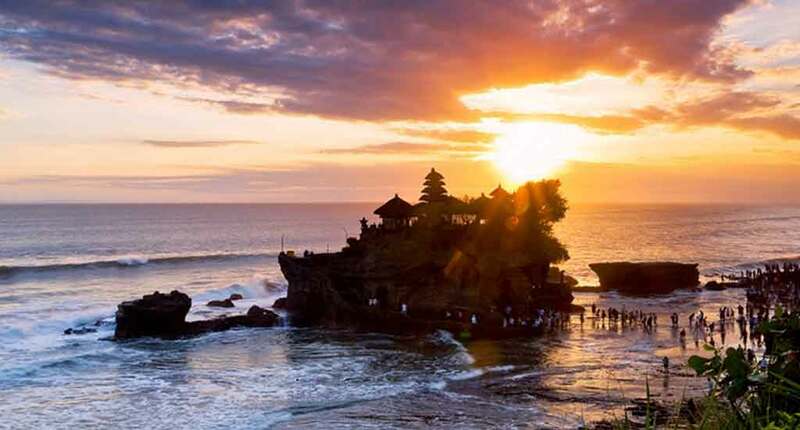 Tanah Lot is actually a rocky coast, renowned throughout the world for the simple fact that the Hindus temple is situated on a cliff and surrounded by seawater. This destination is visited by tourists every day, especially for the scenery offered by nature and the amazing sunset, which outlines a picture stolen from the books. The beach that surrounds the Tanah Lot Temple is also renowned throughout the world, especially for the perfect waves needed for surfing activities. 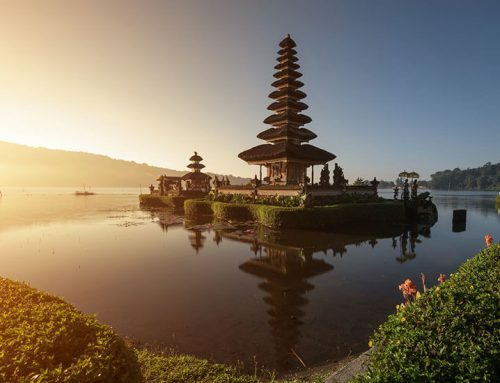 There are two famous places where you benefit from the suitable waves, namely Enjung Galuh and Batu Bolong Temple. 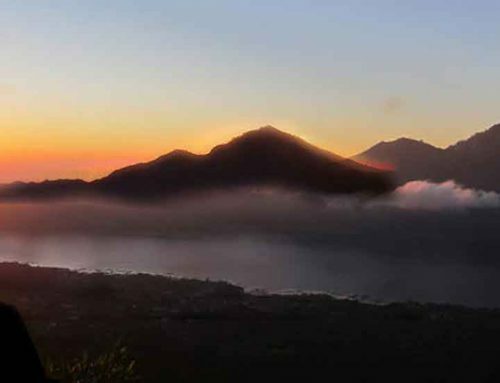 Being geographically positioned in the southwest of Bali Island, the best time for surfing entertainments is the dry season. This means that the wind will move from the southwest to the west, which provides a perfect environment for creating powerful waves. Once you arrive in the area, you can be part in the ritual of the locals. It’s called “Melukat” and it represents a deprivation ceremony of the body and soul, in order to cast out bad luck and sickness. There are seven types of Melukat ceremonies, all of them having approximatively the same purpose: to eliminate the influence of the devil and naturally treat a person’s body. Among them we list: Melukat Astupungku, Melukat Gni Anglayang, Melukat Gomana, Melukat Surya Gomana, Melukat Semanra beda, Melukat Prabhu Beda and Melukat Nawa Ratna. To reach this sacred temple, you will have to go through a string of souvenir stalls. The entrance fee is 20,000 Rupiah for Indonesian nationals, while for foreigners the price is much more expensive. Tanah Lot, Bali is definitely a tourist attraction worth visiting once you reach the nearby area. 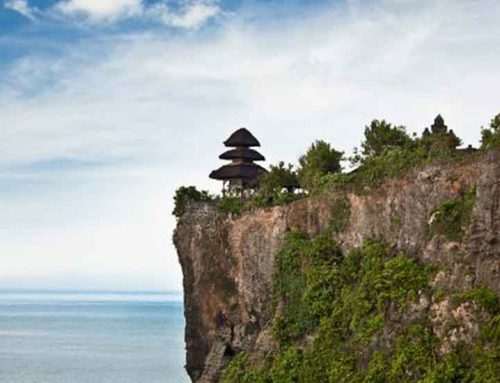 In Balinese, this means “Land in the Sea,” which transforms a simple stone formation into a true legend.